Why are more and more Finance and Accounts Payable departments moving towards automating the AP operations? What prompts them to act now and embrace change rather than keep following the traditional business models? 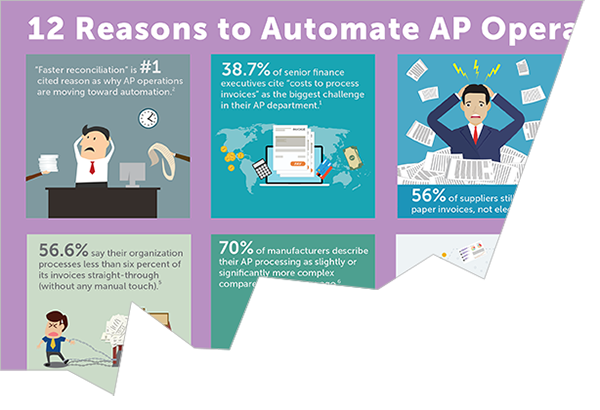 Touch base with this form, to open and download the infographic "12 Reasons to Automate AP Operations Now" as a PDF. By clicking "Download Now" above, you are agreeing to receive communications from Canon Information and Imaging Solutions, Inc.